Canadian metal band Skinny Puppy has said it may bill the US government for musical services after they learned that their music had been used to “soften up” Guantanamo inmates before interrogations. “We heard through a reliable grapevine that our music was being used in Guantanamo Bay prison camps to musically stun or torture people. We heard that our music was used on at least four occasions,” Skinny Puppy’s guitarist cEvin Key told the media. “So we thought it would be a good idea to make an invoice to the US government for musical services,” he added. The Canadians are famous for their dark and disturbing industrial metal music, though the thought that it could be used as a tool of torture was still disturbing to them. “Because we make unsettling music, we can see it being used in a weird way. But it doesn’t sit right with us,” explained Key, the founder of the band. It is not clear if Skinny Puppy is really going to present the White House with a bill, but it titled its latest album “Weapon” as a reference to the incident. 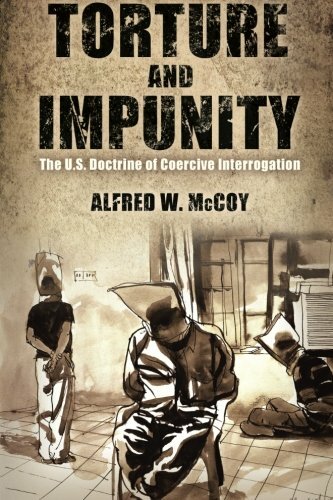 The US is not the only country to use unusual torture against its prisoners. The UK was known to expose IRA members to unpredictable spells of white noise, while Israelis reportedly used to constantly blast loud music at their prisoners, before these practices were banned by their respective courts. Reprinted from The Voice of Russia.